Links on the Site to third party web sites or information are provided solely as a convenience to you. If you use these links, you will leave the Site. Please respect any copyright, usage or redistribution restriction imposed by the site owners. PACSOne is a free Picture Archive and Communication System (PACS) providing input modalities, DICOM server, PACS server, Archive server, Web server, RIS (Radiology Information Server) interface computer, and Radiology clients. PacsOne Server supports , Windows 2000, Windows XP, Windows 2003 Server, Windows Vista, Linux (kernel 2.6 or later), and Mac OS X (Release 10.4 or later) for x86 processors. 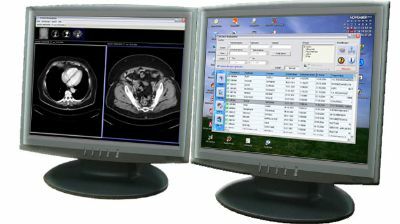 K-PACS Workstation a free DICOM-viewer and storage system modelled after the previously free E-Film provided by Dr. Andreas Knopke. 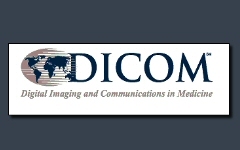 It provides tools for manipulating, measuring and converting DICOM-images into several formats. Additionally, the software implements the most important DICOM service classes like store, query/retrieve, send and move. Thus you can query picture archives, download pictures, upload foreign pictures to archives and export pictures on CD, on local harddrive or even via email. Copyright © 2007 Celebisoftware, Inc.